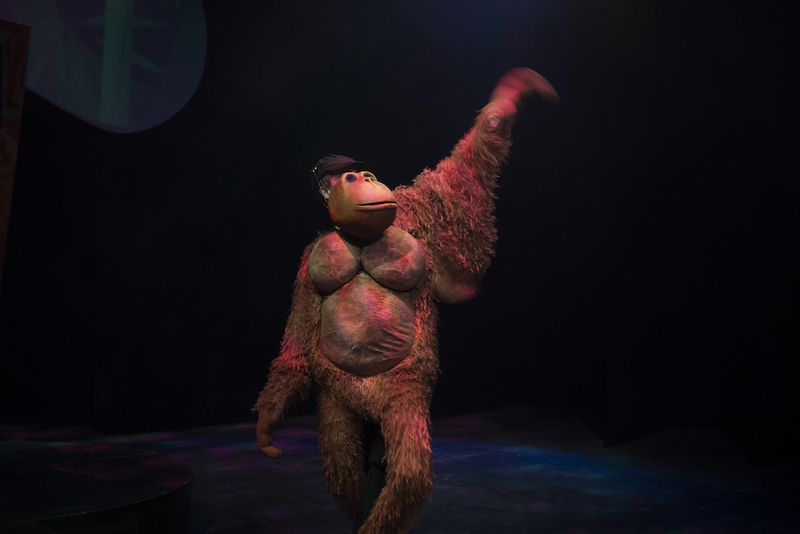 The show was called The Night Zoo by Spare Parts Puppet Theatre, directed by Michael Barlow. It was about a girl called Jamie who desperately wanted a pet as a friend but she lived in a busy city in a tall apartment block. Her dreams bring her to the zoo where she meets all sorts of friendly animals. All sorts of friendly animals: Jamie and the orangutan. There were meerkats, water birds, thorny devil lizards, a giraffe, an emperor penguin, an orangutan and an elephant. At first the animals completely ignore her, but later the animals come back and try to play with her. When they come back, the emperor penguin does some ridiculous dance moves with his flippers to try and wake Jamie up. When Jamie finally wakes up at the park, the animals each give her a ride or they dance with her. At the start, the performers (Kylie Bywaters and Isaac Diamond) goofed around on the stage and teased each other. The puppets were amazing and funny. The performers moved with the puppets and they made them look so realistic. I loved how the setting always changed and the building could swing around and become a tree. The animations projected at the top of the stage showed the animals going through the trees after they had walked off the stage. The music was very entertaining and quite loud. It made me feel like dancing with the animals too. It was hard to choose my favourite part of the play because it was all so good. Some of the best bits were the meerkats fighting over a treat, the water bird showing off, the penguin trying to wake Jamie, the graceful giraffe, the goofy orangutan and the ginormous elephant. In the end, Jamie finds a true friend to stay with her. This was a spectacular play which all children will enjoy. Go and see it while you can! 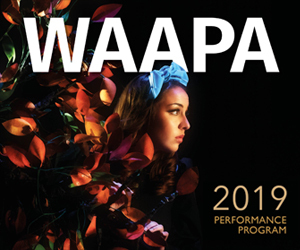 The Night Zoo plays Spare Parts Puppet Theatre in Fremantle until October 6. 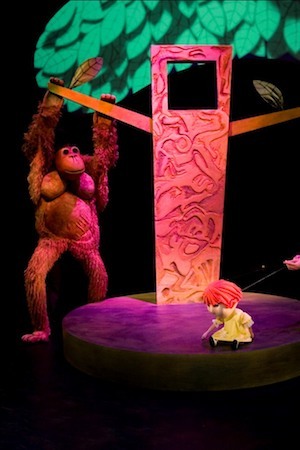 Pictured top: Jamie (operated by performer Kylie Bywaters) and the ginormous elephant (Isaac Diamond) in “The Night Zoo”. Below: The goofy orangutan. Next postLiterature: Are You Sitting Comfortably?